View More In App-Enabled Activity Trackers. Type: Metal Case, Tempered Glass, Resin Band, Rose gold-plated stainless watch-case, polished on front, durable and scratch resistant, Metal drawing treatment for the watch side bottom,The watch mirror is made of super hard wear-resisting glass, Water-resisting for 30 meters, Resin band with buckle closure. Diameter (watch face): 1.77". Width (watchband): 0.79". Thickness (watch): 0.47". 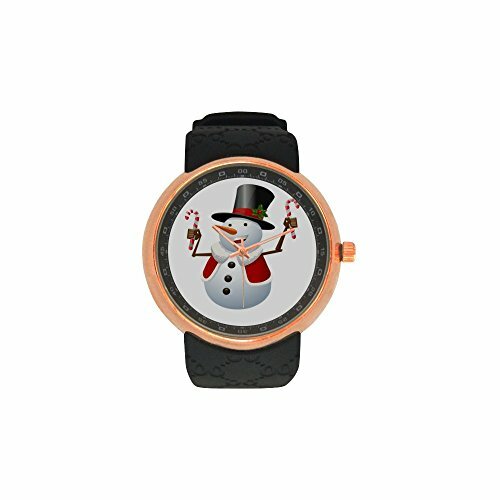 Length (whole watch): 9.84"
If you have any questions about this product by Snowman Watch, contact us by completing and submitting the form below. If you are looking for a specif part number, please include it with your message.